Our 41-Quart All American Pressure Canner is our largest pressure canner, making it perfect for canning all of your fresh veggies and favorite foods! 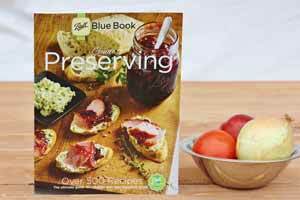 Since pressure canning is much faster than water bath canning, preserving has never been faster! 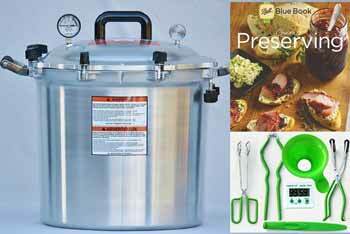 This canner is made from extra-heavy-duty, hand-cast aluminum, which results in fast, even heating. All American's exclusive metal-to-metal seal completely eliminates the need for replacing a rubber gasket, and is incredibly easy to open and close thanks to positive-action clamping wing nuts. 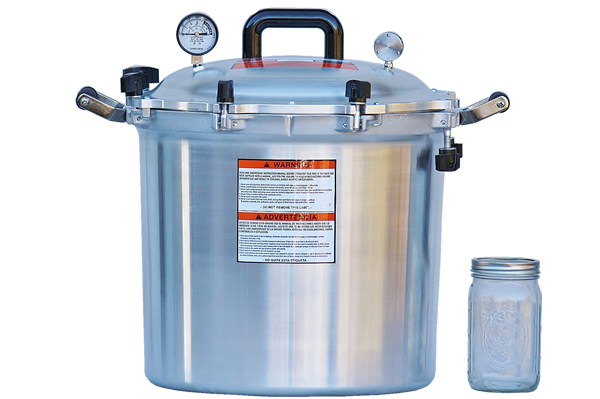 Most importantly, this jumbo canner incorporates key safety features including two automatic vents, a safety control valve, an overpressure plug, and a stay-cool bakelite handle. Finally, a geared steam gauge and 3-setting pressure regulator (5, 10, 15 psi) weight make using the perfect pressure a snap! 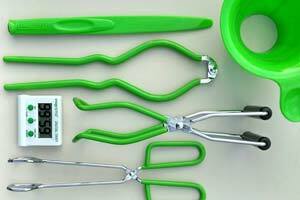 We also offer a 41 quart canning kit with everything you need to start canning.